Seychelles airport company operating more than 10 local airfields in the region, chosen S4GA to illuminate its runways with new LED runway lighting system. Seychelles is currently one of the most popular destinations for tourists from all over the World. The archipelago consists of 115 islands attracting all types of visitors – people looking for either places with well-developed infrastructure or calm wild remote life. However, it is usually quite a problem to get to islands due to poor transportation system in the region. The only way to reach most of remote islands is by boat. 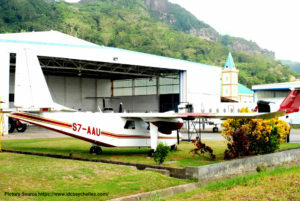 Another way to reach Seychelles is by air and this is what local government is actively developing in recent years. Growing tourists flow requires growing flight traffic. However, most of island airstrips are not illuminated with any lights, thus unable to process the number of flight operations required. So, one of the goals is to equip key airports with reliable lighting systems suitable for using in tough weather conditions. Islands Development Company (IDC) is one of such government companies taking care of airports on Seychelles. 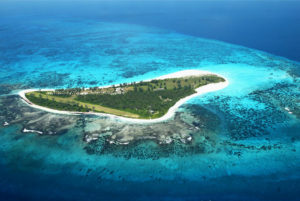 IDC is responsible for economic growth and nature protection on 14 local outer islands on Seychelles. The company’s activities include infrastructure development, tourism, agriculture activities, distribution of electricity, water, and medical equipment to the region. The IDC Aviation Department is responsible for proper air transportation within the region. 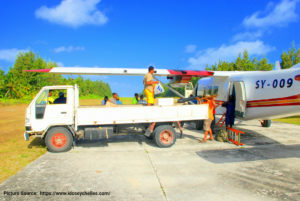 It ensures safe flights between IDC’s islands as well as on-time maintenance of island airports managed by the Company. After negotiations, it was agreed that LED runway lighting system based on SP-102 lights was the best solution that met the requirements. In 2018, IDC has ordered the first runway lighting kit from S4GA. The chosen airfield lighting system is compliant with ICAO standards and applicable for Non-Precision Airports located on remote islands. The Company will use our lights for emergency night operations. The project completion is in progress. Follow us in social media to get more news and updates on airfield lighting market.